Meat eaters in the Mad River Valley will be pleased to know that, after a three-month hiatus, Waitsfield's Bridge Street Butchery reopened on July 15 in a new location, 100 Mad River Green, and with a pared-down name: the Butchery. Chef-owner Jeff Lynn, a graduate of the New England Culinary Institute, will continue to offer cut-to-order steaks, chops and housemade sausages — carved from local grass-fed beef, pork, lamb and poultry — along with super-fresh seafood hand-picked by Ethan Wood at Wood Mountain Fish. But now Lynn is also brining, smoking and roasting his sandwich meats in-house. "We're not doing the typical deli prepurchased meats [anymore]," Lynn tells Seven Days via phone. "We're doing all that in-house. I'm standing in front of the smoker right now." The pulled pork, brisket and other meats are available by the pound or layered into sandwiches, many on breads from Waitsfield's Green Rabbit bakery. 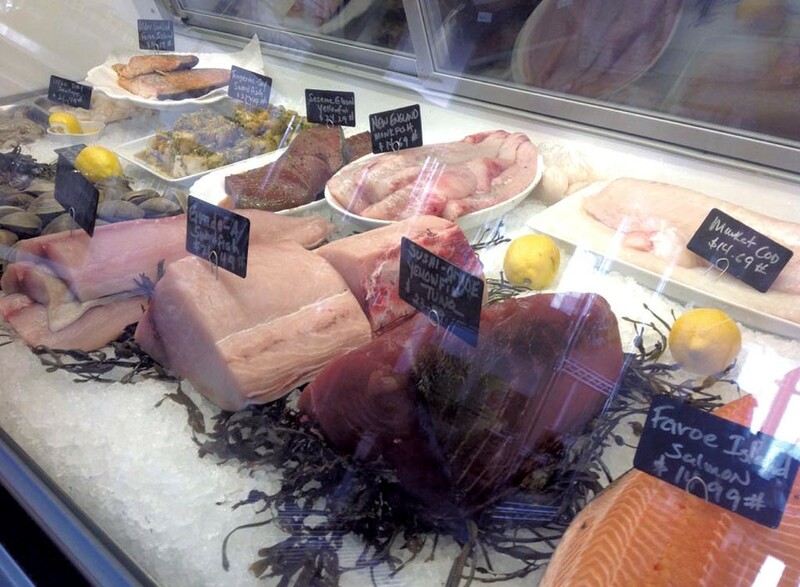 So are house-brined, roasted turkey and smoked salmon, bluefish and other sea creatures. The fish — smoked or otherwise — also appear in ceviches and salads, the better to pair with your sandwich. On Wednesdays and Saturdays, Lynn will cut Wood Mountain's sushi-grade fish into nigiri, sashimi and a half-dozen nori rolls made to order. The chef dabbled in sushi when he opened the original shop at 40 Bridge Street in 2012, he says, but couldn't keep up with the demand. The new location, with twice the square footage of the old, allowed Lynn to build that capacity into the space. Providing the cooking public with restaurant-quality ingredients is his main agenda, Lynn says. Still, the new shop has a few tables where in-house patrons can sit down for their sushi or sandwich — and sip one of two local beers on draft or a glass of wine. The Butchery is open Tuesday through Saturday. Menus will change every few weeks and be updated on social media. The original print version of this article was headlined "Smokin' Hot"